The African soccer federation handed out its annual African Player of the Year award yesterday, rewarding Borussia Dortmund’s Pierre-Emerick Aubameyang for a spectacular season. For most, this was a positive moment to celebrate Auba and all of African soccer for their players’ contributions to the game. 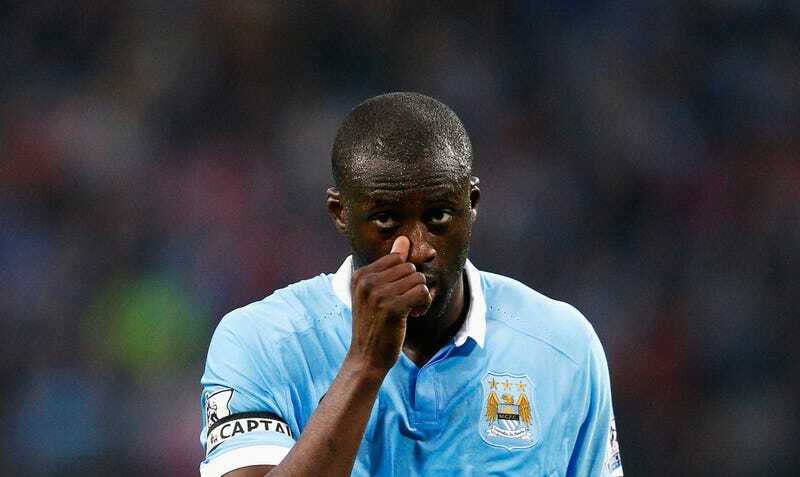 For Yaya Touré, the award’s salty runner-up, this was something else. The “African achievements” bit is directed at the fact that he led Ivory Coast to victory in the African Cup of Nations last year, finally capturing the trophy that has long eluded him and his super-talented Ivorians. In the same way that many believe the Ballon d’Or should go to the best player on the World Cup-winning team when that tournament is held, Touré seems to think his victory in the Cup of Nations should’ve cemented the Player of the Year award. I’m not sure it’s all that serious, Yaya. There’s always next year.